Mothers continue to search the source of help to ensure the health of their children. Encouraging children to eat healthier foods from younger age, they can get help in choosing healthier foods. Parents should ensure that the children are getting adequate vitamins and minerals in their food, which helps them to grow and develop. Good health is not available overnight. This is the result of some very simple habits that should be followed since childhood. Junk Food is so attractive and fascinating that it attracts people of any age, and when it comes to children they are more attracted to it. Regular spicy junk food can be addictive to the children and this leads to complications in mental and physical health, such as obesity, fatigue, chronic illness, etc. and their educational skills and activities outside of study will also be reduced. The children who eat junk food like pizzas, wafers, tangi chips, their ability to concentrate are reduced. Before teaching our children a good practice, parents should be accustomed to some of their parents’ very simple habits so that their lifestyles are healthier. For a healthy and nutritious breakfast at a particular time for their children , it is a very important job for parents , because it will hinder their growth when they grow and not eat breakfast or just eat junk food, and they may be affected by malnutrition. The food the kids like, they eat a lot, it has to be stopped because it is more fat and fatigue. Therefore, parents should teach them to eat moderately, which will help them maintain good health in the next life. As a parent, it is important to plan for eating healthy foods for children. If you eat something continuously, it can be eaten more frequently, but it is planned in a specific time period that food is eaten light, it is healthy and digested very easily. Mammals should keep large amounts of fruit, fumes, healthy drinks such as coconut water, fruit juices and flavored milk which may be the substitute for those chips or cookies. Generally, children should drink 12-15 glasses of water every day to keep them wet. Daily enough to absorb the body’s poisonous substances after drinking enough water and most importantly, this fluid helps control the temperature of the body. Of course, it will make sure that they do not eat sweet drinks because they contain too much calories. Children of this era are mostly engaged in mobile phones and video games, because of technology-driven and outside play. Encourage your child to be interested in kelagtala. Children should perform physical activity one hour each day. 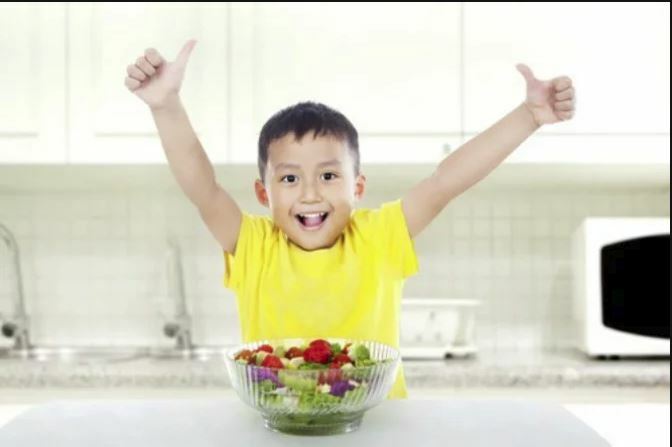 This results in healthy eating and keeping your child enthusiastic and capable. In the end, parents and children have the most influence on their children’s diet. To build and maintain healthy habits among them is a great gift given to your child. The need for encouragement from parents and other important adults is to develop a healthy habit and attitude. As parents, you will teach them to love their best health, which will affect their health in life.